Walton Street Capital abandoned plans to sell its 49 percent stake in 237 Park Avenue , according to sources familiar with the transaction. Instead, Walton and its partner RXR Realty refinanced the trophy office tower with a $850 million mortgage. 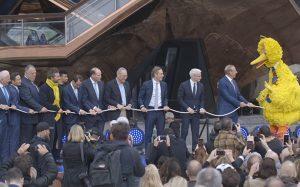 The new lenders are Morgan Stanley and Societe Generale, sources said. The loan replaces a $419.6 million CMBS mortgage overseen by U.S. Bank as trustee, property records indicate. Cushman & Wakefield brokered the debt deal, sources say. The brokerage declined to comment, as did RXR and Walton. The lenders could not be reached for comment Sunday. 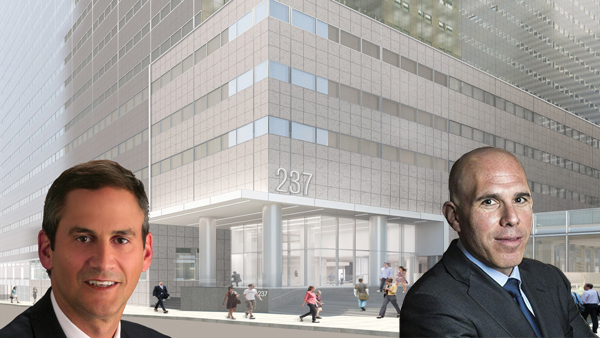 RXR, led by Scott Rechler, and Walton, led by Jeffrey Quicksilver, bought the 21-story, 1.25 million-square-foot tower for $810 million in 2013 from a Lehman Brothers-controlled entity. In March, Walton put its stake up for sale, with Rechler seeking a new equity partner and recapitalization of the building to roughly $1.4 billion, the New York Post reported. Last year, the New York Presbyterian Hospital signed a 500,000-square-foot lease at the building, which was 98 percent leased as of March.